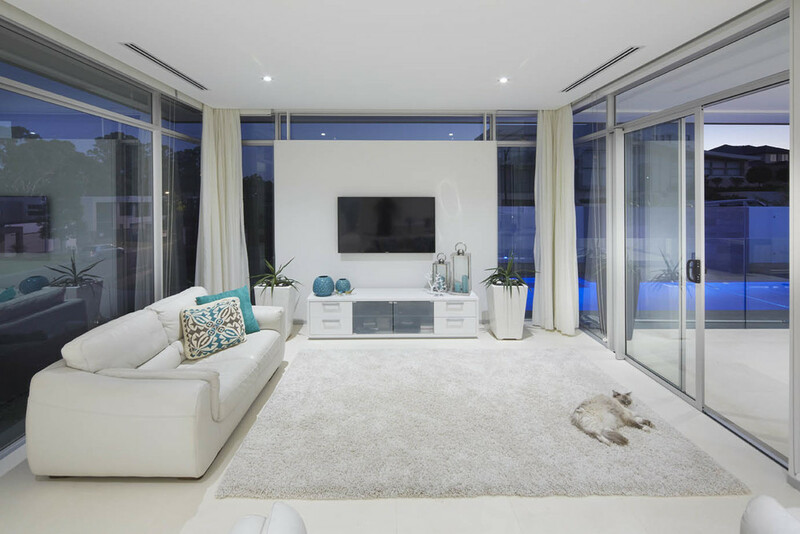 Experience the Glass Co difference in your Living Room with the range of products to suit one of the most important rooms in any house design. The range of CARINYA windows and doors allows any possible combination to maximise your space and allow natural light into the room. Its all about access and functionality in your Living area. Thermal control of a large living room can be achieved through good design and quality products. The elegance and ambience of LUXAFLEX blinds in Living rooms is unsurpassed. Indulge yourself into the world of glass balustrades. Inspirational projects only limited by the imagination.